Indian Army is once again preparing to carry out comprehensive review of its officer cadre. It is presumed that it will be focussed on Officers as only recently in Sept 2017, Government approved Third Cadre Review for JCOs and Other Ranks, which will benefit 1.45 lakh personnel and will be implemented over next five years. Vacancies in lower ranks will be released in phased manner with 30% in 2018; 20% each in 2019, 2020 and 2021 and 10% in 2022 in each rank thereby distributing the benefit to more batches. The two previous comprehensive reviews were done in 1979 and 1984. This review would be expected to lay out a plan, which can remain relevant for at least a decade. Most importantly, it has to grapple with issues connected with parity of ranks and rising aspirations of younger generation of officers and all these in a milieu of turf battles, where other cadres are unlikely to yield even an inch. In fact, it will be pragmatic to consider turf realities as a limiting term of reference as most previous studies have been based on ameliorating measures like ‘peel factor’ of AV Singh committee and lateral absorption, which have been non starters, thereby negating the entire exercise. The recent recommendation of Standing Committee of Parliament suggesting compulsory tenure of five years for all government servants in defence forces is an enhanced version of earlier recommendation. In 1996, Mr IK Gujral, PM had approved induction of all officers in CAPFs (loosely referred to as para military forces) through Army after an initial term of five years. However, one seasoned bureaucrat made an interesting remark in a follow-up meeting, “PMs at times get carried away, it is our job to insulate the system from such hasty measures”. The second direction of PM to immediately absorb retiring Generals in Public Sector Undertakings and Corporations had a marginally better response as one General was indeed inducted, however, he was known to have the right connections. This was despite PM’s clear sanction and very good power point presentation, a novelty those days. 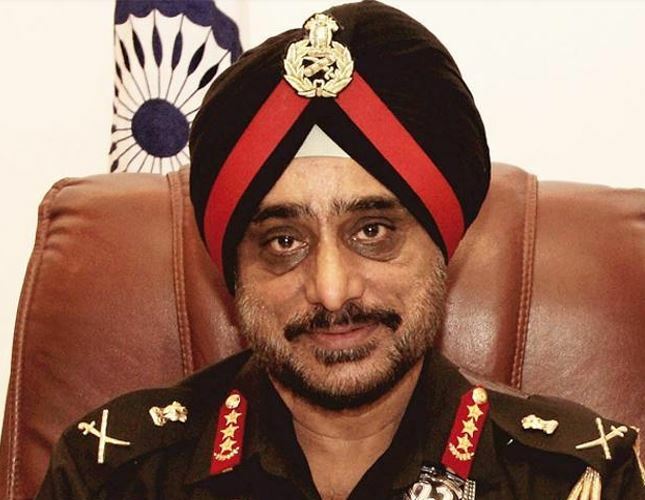 The last structured and comprehensive cadre review for officers was done in 1984 yet it has been overtaken by the famous AV Singh Committee in 2001, consequent to Kargil Review Committee report with a mandate to reduce ages of Commanding Officers(COs). In its wake it has left a fractured officer cadre engaged in bitter litigation due to vitiated formulation of ‘Command Exit Model’, which has been seen by courts as twisting of simple mathematical formulation to generate additional vacancies for some Arms at cost of others. It is hoped that current exercise will endeavour to take care of dynamic realities like introduction of women service entry and also address the latent angst in logistics stream. It will also have to take into consideration large number of court directions and rulings, which have been mandated. Before an agency and appropriate team is picked up for this onerous responsibility, it will be pertinent to consider a few in-house realities. The most important pre-requisite is to recognise that cadre management is indeed a ‘science’ and requires both comprehensive understanding and years of application. Unfortunately, senior officers take it as their natural perk to tinker with cadre to further parochial and regimental interests. Most cadre managers in ‘Olive Greens’, who accumulate experience with their multiple tenures in MS Branch (mandated for this function) are experts in handling only placement or postings, and have limited knowledge of nitty gritty of cadre management. Luckily, we have a Chief, who has done cadre planning in his MS Branch tenure and hopefully, he will put it to good use. Even if correct agency and team is picked up, there has to be a commitment to accept the findings and apply its recommendations. One of the most important change in our officer cadre was two year enhancement in age of retirement yet we made a hash of this measure, basically because HDMC study for its implementation was junked as it had made some unpleasant recommendations specifically affecting decision makers. This was despite the fact that report was endorsed by IIM Ahmedabad and most importantly, it was a collegiate opinion reflecting aspirations of overwhelming majority of officer cadre as study had entailed extensive interaction, field visits and sample, whose composition and distribution was endorsed by IIM. While such a study is a deliberate exercise and will take its own time, it is recommended that automation of cadre management functions like OMR based CR forms for appraisal, computerised placement system should be implemented to create a back bone for transparent and objective cadre management system. This can result in down sizing of MS Branch and relieve more than thirty very high profile officers from mundane clerical functions and gainfully employing them in field formations. In this, MS Branch should set an example for other HQs to emulate, like they say- charity begins at home. Another in-house measure recommended is to create a ‘win-win’ model to empower Jawans to become regimental officers as part of support cadre, which currently has no takers as Short Service entry remains unpopular. This requires a change in mind set and developing an ecosystem as part of HRD policies in Army.